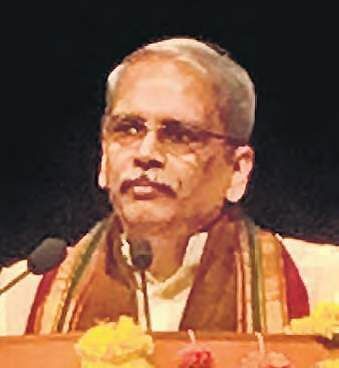 HYDERABAD: Kris Gopalakrishnan, executive vice-chairman of Infosys, on Saturday urged young tech graduates to understand and foresee the role of technology in their lives and learn the new problem-solving capabilities, and acquire leadership capabilities to succeed in life. Delivering a speech on the topic ‘How can you face a disruptive future?’ at IIIT, Hyderabad’s convocation, Kris Gopalakrishnan, one of the leading faces of Indian Information & Technology sector, came up with several invaluable suggestions to the young graduates to help them emerge as leaders in the future. “Every field of study and every business sector will undergo change in the coming years. Therefore, understand and foresee the role of technology in your lives and acquire problem-solving capabilities and leadership skills. You are never too young to be a leader,” said Gopalakrishnan. Stressing that change will be driven by digital and cognitive technologies, he advised youngsters to be adept at using these technologies. “You need to coexist with AI systems. This is irrespective of which field or industry you are going to be in,” added the co-founder of Infosys. Gopalakrishnan also asked the youngsters in attendance to develop a set of consistent values and ethics in life, while at the same time to be customercentric and aware of the business ethics. As many as 423 students graduated during the 17th convocation of IIIT-H, with a record number of 136 research students, including 11 PhDs.